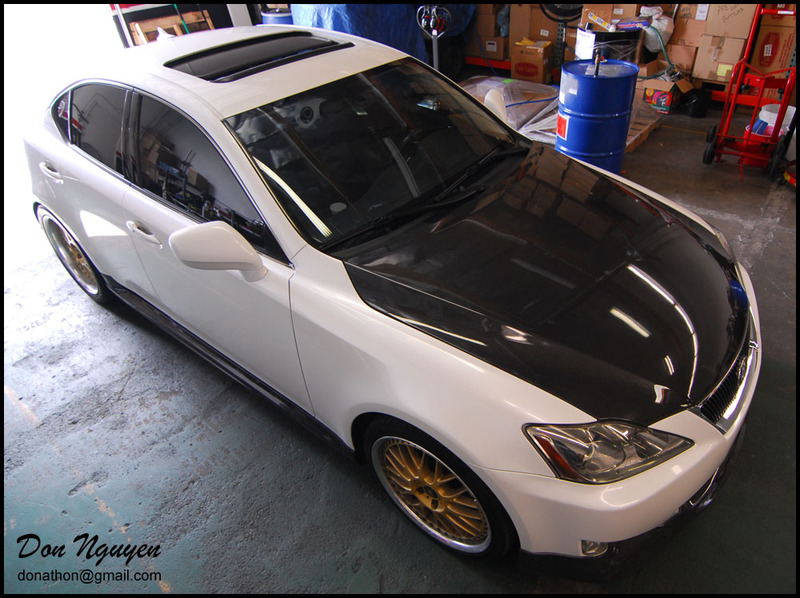 This white Lexus IS350 dropped by to have me vinyl wrap the roof of his car with my gloss black material. 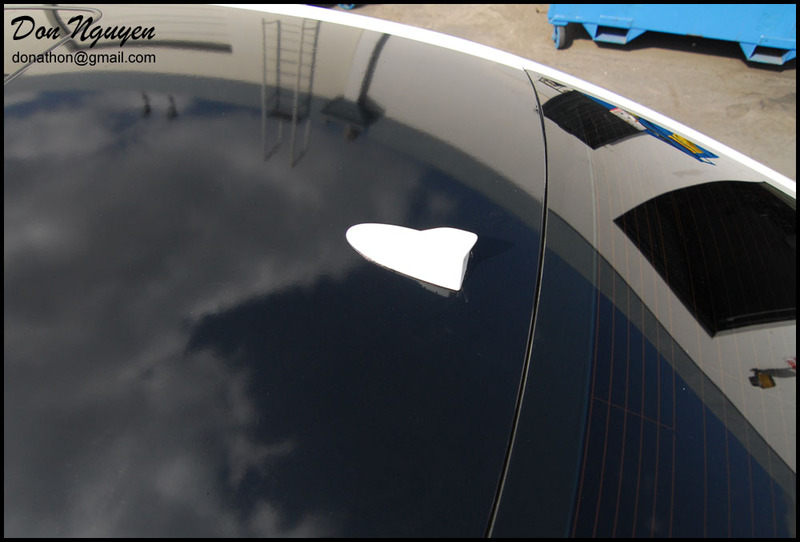 Hopefully these pictures will help out those who have carbon fiber hoods see how the gloss black vinyl roof matches/looks with a carbon hood. I thought that the gloss black vinylroof complimented the carbon fiber hood and other carbon fiber/black accents on the car fairly well. 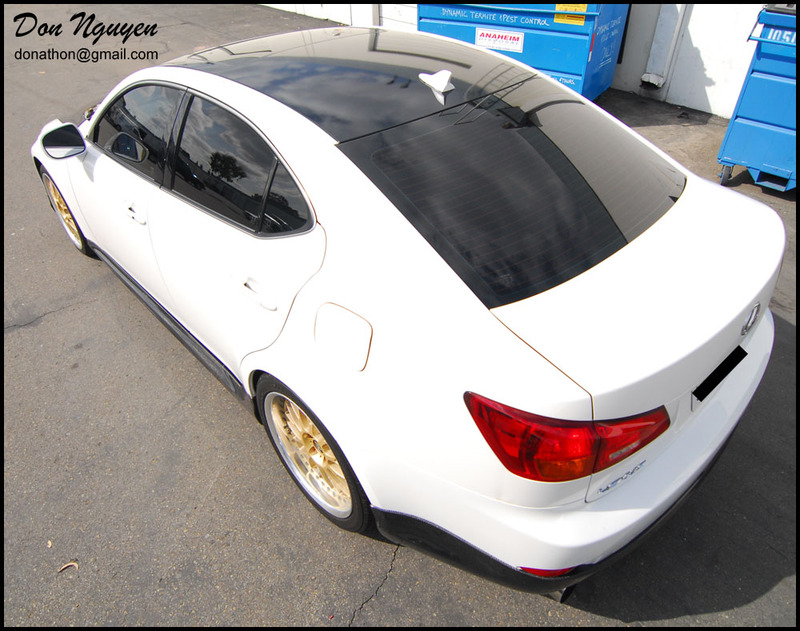 The owner of this car was from around Cerritos and came out to me in Anaheim Hills/Orange County to have the work done.